Hello again, friends and fans! Today we continue a journey which we embarked upon last week. Jeff Waters returns to give you further insight into the process for creating Annihilator’s new album, Suicide Society, as well as giving you his thoughts on the new Slayer and Iron Maiden albums (with a little look to the future for Judas Priest). We discuss cookie monster vocals, as well as touch on the new(er) metal scene with artists like Trivium, Children Of Bodom, and Lamb Of God. We round out our 20-plus min. segment by talking about the advent of digital recording and the pros and cons of being able to create songs while being thousands of miles apart. 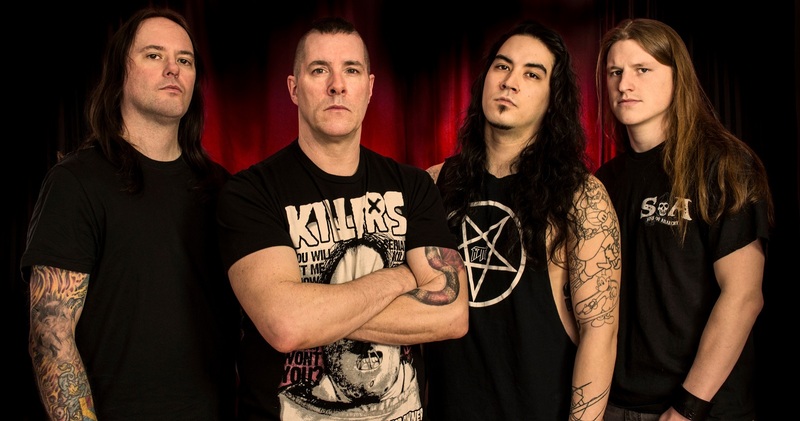 If you haven’t done so already, check out a review of Annihilator’s new album, Suicide Society, by a fellow contributor. The album is available now, so what are you waiting for? Pick it up!